While a trip to the gynecologist is never a good time, it's still ridiculously important that you go regularly and soon it will be even more so. 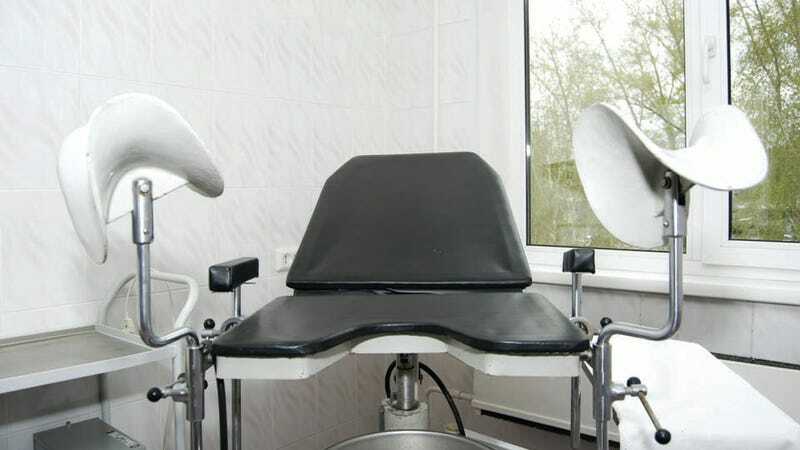 A new study suggests that a pap smear can, in addition to detecting cervical cancer, detect uterine and ovarian cancer. For the first time, researchers have found genetic material from uterine or ovarian cancers in Pap smears, meaning that it may become possible to detect three diseases with just one routine test. Don't schedule your smear party quite yet. The study is still in its early stages and its sample size is quite limited, but of the women studied, all of whom were already known to have cancer, the pap was able to detect 100% of the uterine cancer and 40% of the ovarian. While 41% may seem rather low, it's still a dramatic improvement, especially if women get tested early. Ovarian cancer is often already in the advance stages by the time it's noticed and its survival rates are low. Approximately 15,500 women died from ovarian cancer in 2012. The new pap test uses advances in genetics to detect a variety of cancers or precancerous conditions. Says the study's lead author Johns Hopkins University's Dr. Bert Vogelstein, "Is this the harbinger of things to come? I would answer yes." Alright, ladies. Get ready to drop those knees.